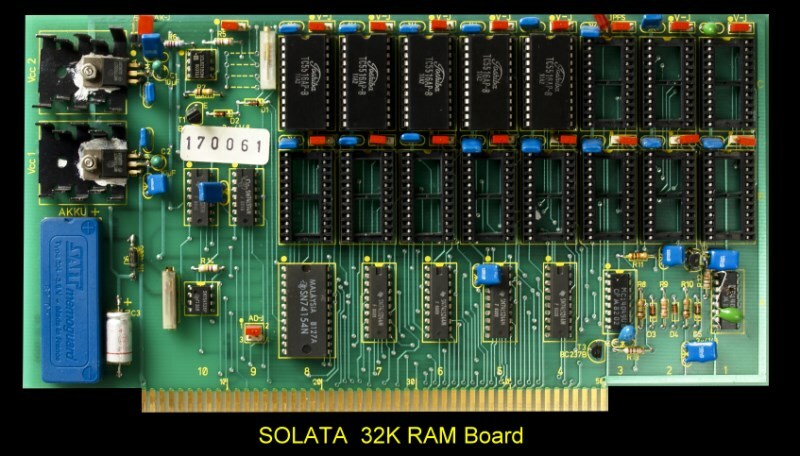 This was a unique 32K RAM board in that it had an on-board battery for memory backup after the computer power was turned off. The circuitary was quite straightfoward. It was a pre-IEEE 696 board with only 16 bit address lines. The board utilized teh low power HN6116LP static RAM chips. The schematic for this board can be obtained here.